We have had a fantastic start to our netball this year. We have had a mix of results, with two wins and one loss. Both of our wins, we won by A LOT of points. The team is very proud of what we have achieved already and we are sure we will win even more by the end of the year. 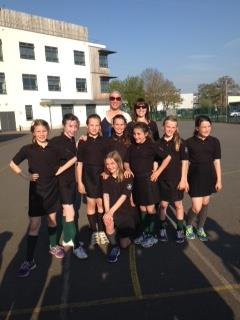 In netball at St Gregory's we unfortunately lost 2 - 0, but it was still an amazing game because we didn't give up! In the first half they scored 2 goals so in the second half we did better and didn't let them score any more. In our second match against Alveston we won 16 - 0 which is brilliant!!! In our first match we lost so we were even more determined to win this match, and we did. Our last match this term was against Thomas Jolyfe and once again we won! We were extremely thrilled about it as the scores were 20 - 3 and it was out best match yet. YAY! Everyone thought the matches were super fun and we never gave up. The boys have bagged their second win to begin an undefeated run for this football season. The game was close and looked destined to be a nil - nil draw, but an excellent team goal, which saw the ball passed between each player on the team before going in, resulted in a 1 - 0 victory for us. Well done boys! On the 4th of October, Bridgetown had a match against Thomas Jolyffe and like all the time Bridgetown won. It was 1-0. It was really an exciting match because everyone was kicking the ball everywhere! But suddenly the ball was dribbled into the Thomas Jolyffe box and the away team were crowding our players, trying to get the ball back. Then it was passed to Oliver who kicked it straight in the goal. Thomas Jolyffe didn’t score a goal which was sad for them but good for us. The man of the match was Oliver for scoring that amazing goal. 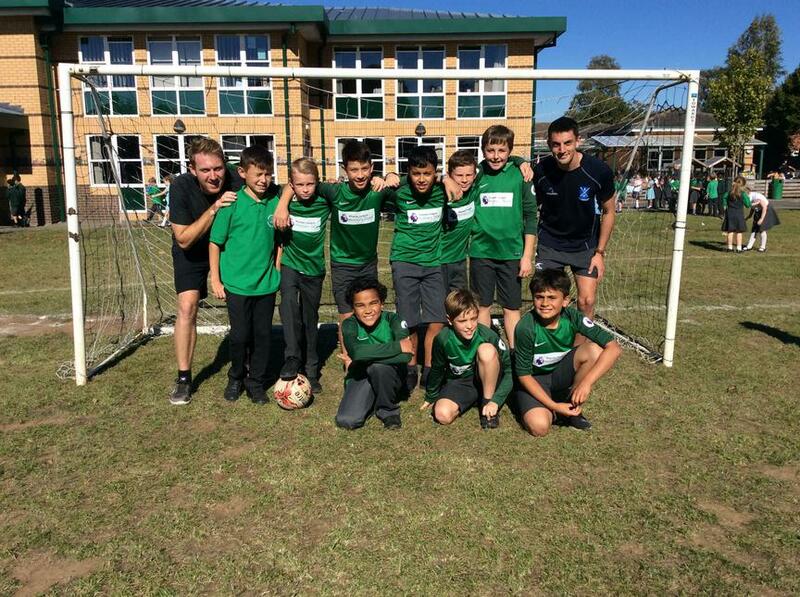 Well done to the Bridgetown boys football team who secured their first victory this week against The Willows. After a long, exciting and tiresome match, the score was 1 - 1. One goal each and the game seemed destined to be a draw. However, a moment of magic saw a long range effort from our own half lob the Willows goal keeper, giving Bridgetown a 2 - 1 lead with seconds remaining. The boys were obviously excited and pumping with adrenaline, as less than a minute after the game was restarted, a third goal was put past the opposition defense. The final whistle blew and the boys had their first win. Top effort! The game was filled with intelligent passing, team encouragement and great spirit, so no surprise really that Bridgetown pulled through. Thomas Jolyffe next week, can we keep this great team spirit up and maintain an undefeated run? The Daily Mile is Here! The children of Bridgetown Primary School have been taking part in an exciting new initiative over the first Autumn half-term. 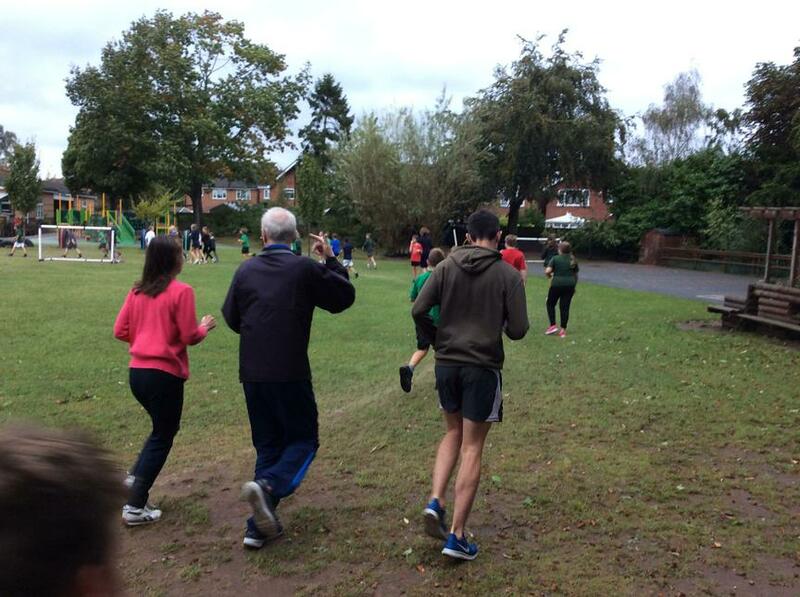 The children and teachers have been taking 15 minutes a day to exercise and enjoy the fresh air by running, jogging or even walking at their own pace around our school field. Most children have been averaging a mile during these 15 minutes, with some doing more and some doing less. 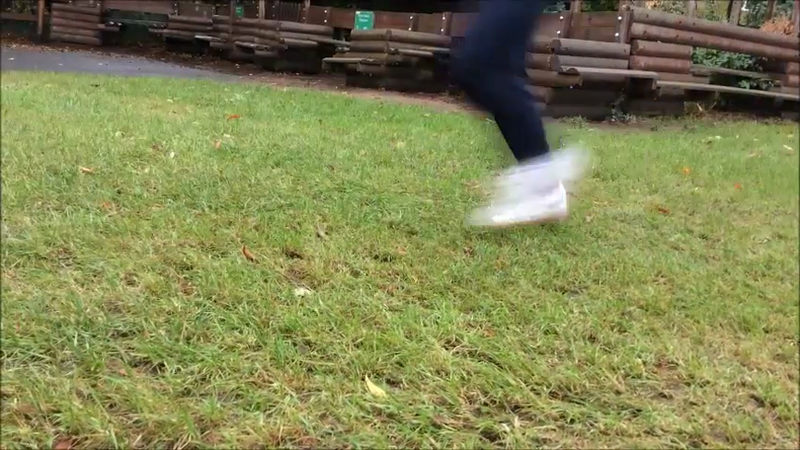 But the idea is that it has been non-competitive and rather than officially recording laps, the children have enjoyed challenging themselves, independently setting personal targets and most importantly, achieving the 15 minutes in a style which suits them. We have challenged Bridgetown to collectively run the distance of the Great Wall of China over the first half-term. That's 13,171 miles! Challenge accepted! As well of teaching the children the importance of daily exercise and how we can make that part of our daily routine, we believe that offering the children this chance to join in with daily exercise should be beneficial to their physical, social, emotional and mental health, and well-being. It can help children to focus and concentrate in the classroom and raise their attainment. But, of course, most importantly, the children really enjoy it! As you can see, even the teachers are enjoying it! Well done to the Bridgetown netball team who came third in the 2015 Stratford-upon-Avon Schools' Competition. Thanks to Miss Thijssen, Mrs Rees and Mrs Pinkerton for their coaching and support. 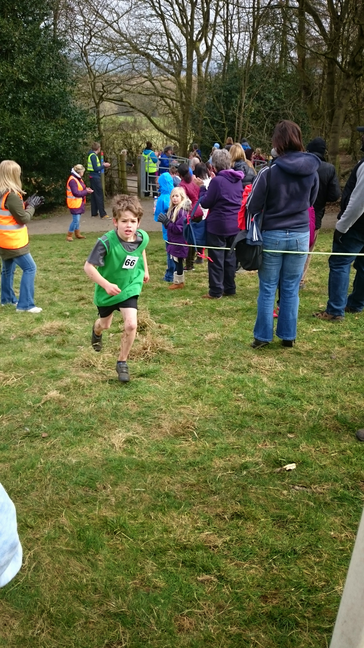 Two of our Year 6 pupils made it through the heats to represent Bridgetown in the South Warwickshire Cross Country Team. We are hugely proud of Thomas and Daniel's achievement and of their performance at the final, on what was a hilly and challenging course.